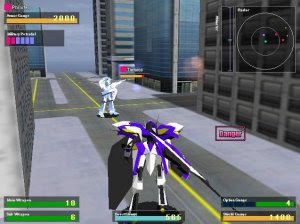 Silver Knights is a fantastic 3D mech game that allows you to fight against other mechanical beasts. You choose your team and then select one of seven fighting machines. You can fully customize your mech and make it your own.